An action-packed night is promised at Gillman Speedway, South Australia (SA) this Saturday night (6 April) for the 2019 running of the FIM Speedway Sidecar 1000cc World Cup. The world’s most prestigious Speedway Sidecar event sees 16 crews battle it out for the most prestigious Speedway Sidecar trophy in the world. Twenty heats of quick-fire racing action will be sure to keep the crowds entertained all night, and a field full of world-class riders and passengers will ensure the standard of racing is second to none. Last year’s Champion Darren Treloar will be aiming to repeat last year’s performance where he didn’t drop a single heat or final, and fresh off a win during the recent inaugural Bob White cup at Gillman, the combination of he and passenger Blake Cox look like they will be a big chance to repeat this year. They’ll be coming up against 2017 winners Warren Monson/Andrew Summerhayes and previous Australian Champions Trent Headland/Darryl Whetstone. A horde of Kiwis will also be making the trek across from New Zealand to take on Australia’s best, as well as the American pairing of Joe Jones/Jaron Speyer-Silvy. For those wanting to get a try-before-you-buy experience of Speedway Sidecar racing, entry to the practice day will be free for spectators. Gates open at 3:00pm with practice to commence at 6:00pm. For those who can’t get enough Speedway Sidecar action, the weekend continues with the re-running of the 2019 FIM Oceania Speedway Sidecar Championship taking place the very next night (Sunday 7 April). After being called off due to rain last weekend, the crews will have unfinished business as the slates are wiped clean and the event re-starts from Heat 1. 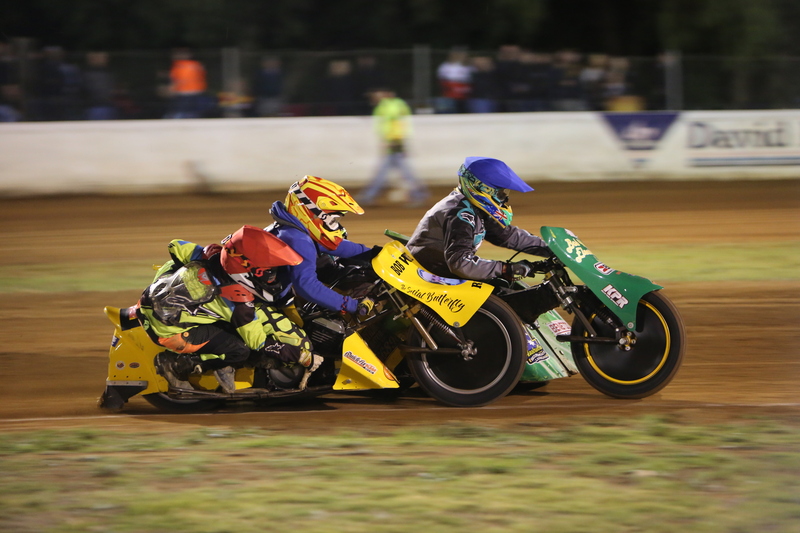 The 2019 FIM Speedway Sidecar 1000cc World Cup will take place this Saturday (6 April) at Gillman Speedway Stadium, Gillman, 20 minutes North of the Adelaide CBD. Gates open at 4:00pm, with rider parade to begin at 7:00 and racing to kick off at 7:30. Tickets available at the gate.